As a first time subscriber to Sports Illustrated, (a gift for the hubby) I was so excited to get the Swimsuit Issue in the mail, and even more excited to get it while he was on a trip, so I could actually look at it for a while. Upon his return, his comment after reviewing it for a while was the same as my own thought – “I didn’t see any bathing suits”. So, let’s move on from the obvious, and head to the more important issue. The jewelry. 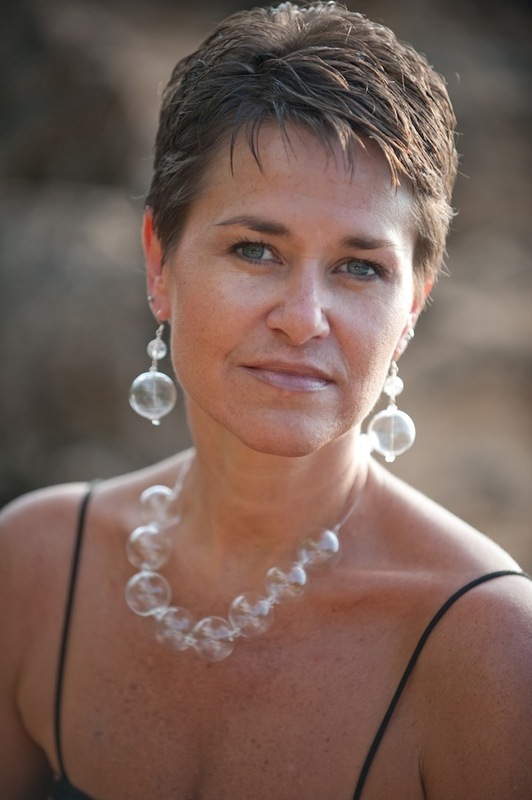 As I flipped through the pages I saw lots of names that I recognized, and realized this next post had to be about the talented Maui-based jewelry designers who were featured in the latest Swimsuit Issue. 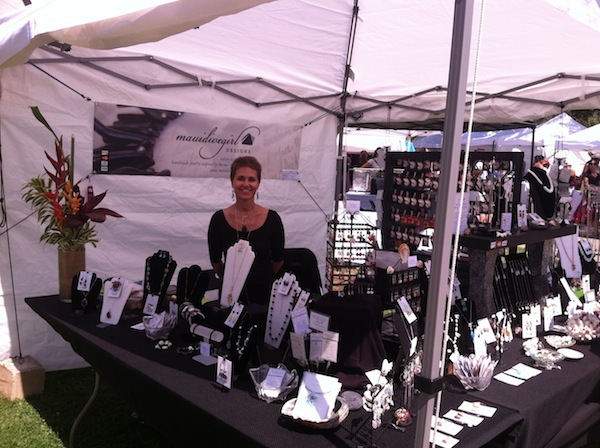 Special COUPON CODE for MauiMadeBlog Readers: Enter code MAUI20 to get 20% off Hula Hoops Maui jewelry between today and March 7, 2014! Where to buy on Maui: Nuage Bleu in Paia, Hale Zen in Lahaina, Sand People in Kaanapali and the Four Seasons Spa in Wailea. Where to buy on Maui: Check out their flagship store at 69 Hana Hwy in Paia. Rockabella Jewels: Rocking the Rockabella Jewels are Rookies Gigi and Lily, Emily in Switzerland, Jessica in Madacascar, and Valerie in Brazil. And since it’s the Swimsuit issue, might as well throw a bathing suit – how about this absolutely gorgeous one by Debbie Wilson for Maui Girl? Debbie’s suits are handmade here on the Maui. This one is being modeled by Kate Bock in Switzerland. Check out Maui Girl at the fabulous bathing suit shop also on Paia’s Baldwin Avenue. It’s that time of year again, where you have to rack your brain to find the perfect gift for everyone on your Christmas list. Well, this year I’ve come up with some Maui-inspired gifts for even the pickiest grinch on your list. 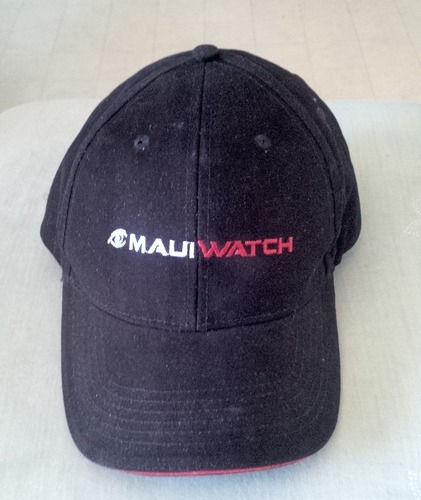 Maui Watch Hat – Wear it with Pride! Brand new logo wear from MauiWatch – This Facebook phenomenon skyrocketed to success, literally overnight, as a fun page of spotting Maui’s infamous robo-cop, (who shall remain nameless, because you either know who he is or it doesn’t really matter) and sharing stories on their wall of shame. As the page morphed its identity, it’s become the island’s most reliable source of breaking news, from accidents to road closures to weather alerts. They recently launched a shop on their Facebook page, complete with hats and shirts, perfect the MauiWatch lover on your list. This constructed hat is made in the USA. 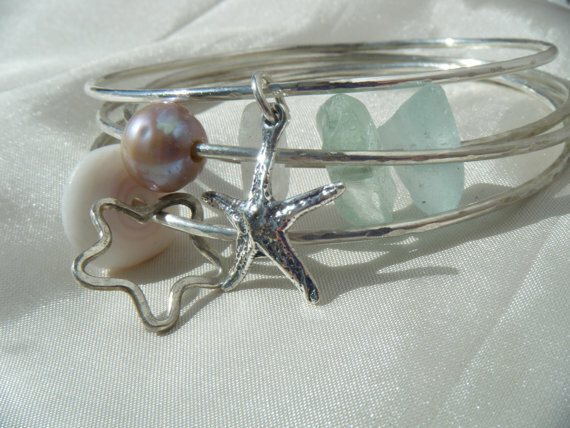 A Custom Made Mermaid Tale – If there’s someone on your list who dreams of being a mermaid, her dreams are about to come true. Maui Flippah will create a custom made mermaid tail, handmade on Maui, out of quality swimming grade materials and a durable monofin. Once the technique is mastered, these elegant and durable tails give swimmers remarkable speed and agility under water. These two sweet gifts will be treasures in any baker’s pantry. 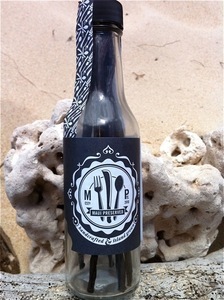 Maui Preserved’s Vanilla Beans – A 5-pack of Maui Vanilla Beans, grown and cured on Maui, fresh and bursting with flavor. The process of growing vanilla beans is one of patience and precision, with no room for error. Maui Preserved’s beans boast high moisture content and are some of the only beans grown in the United States. Maui Preserved also offers jams and jellies, pickled vegetables, hot sauces, and the Sweet and Spicy Pineapple that was featured in Sunset Magazine. 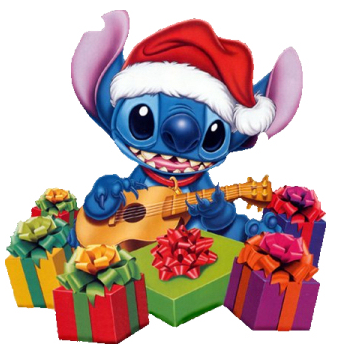 Purchase online, click here to view their retail stores, or check out their Seasonal kiosk at Queen Kaahumanu Mall. 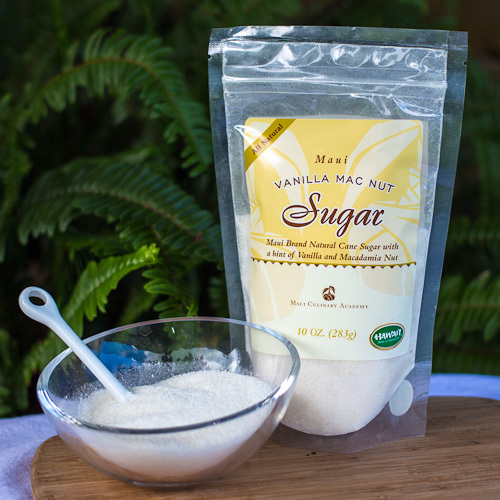 Maui Culinary Academy’s Vanilla Mac Nut Sugar- Just a hint of vanilla and macadamia nuts to round out the flavors of your coffee, teas, or baked goods. Made by the students at Maui Culinary Academy, sugar proceeds from each sale go to support the education and scholarship programs at the school. Purchase online from HelloMakana.com, which also features curated gift baskets and subscription gift packages! A subscription to Maui No Ka Oi Magazine – I’m talking about the person on your list who loves the Valley Isle, but if you have a lover on Maui… well, they might like this too. Maui No Ka Oi Magazine is having a great special, running through the end of the year – you can give a subscription as a gift, and get one for yourself for free! Just use the code WHOL2013 to activate! These days, everything is interactive and customizable. 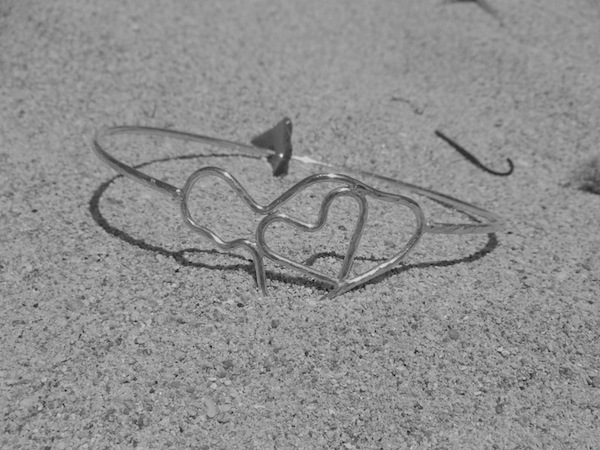 If you like to put your own personal touch on everything, and you love trendy jewelry – you are in luck. 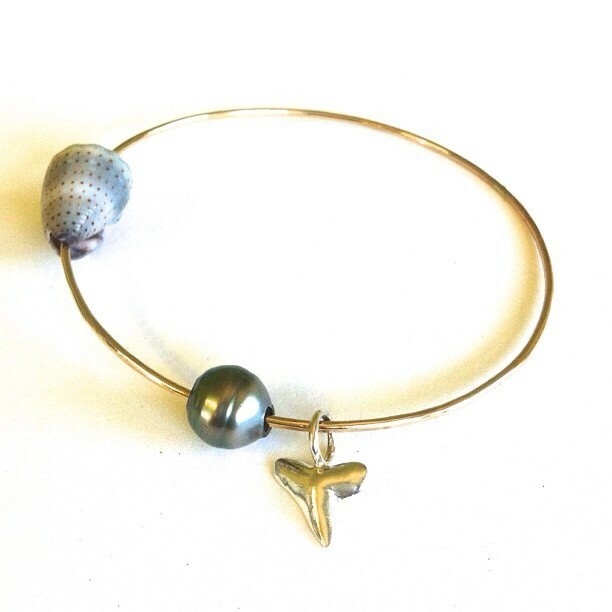 Sophie Grace Maui jewelry store in Paia has just opened up their brand new Bangle Bar, where you can be a jewelry designer for a day! With the new Bangle Bar, you can select a silver or gold bangle, sized to your wrist, and pick your favorite charms and accessories. 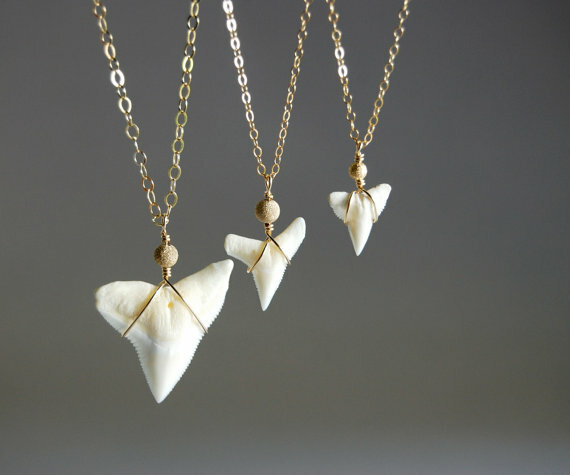 According to Jamie Shepherd, the store’s owner and jewelry designer, the most popular combination is shell, cast shark tooth and pearl, but the possibilities are endless! 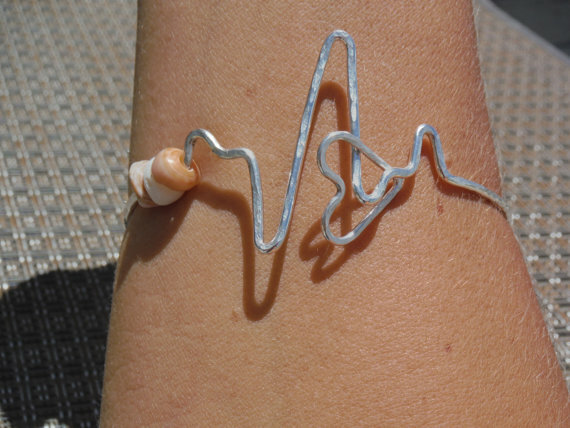 (The cast shark teeth are made by Maui’s own Rockabella Jewels and the pearls are from Pearl.Love.– also from Hawaii!) People are also welcome to bring in their own shells, which can be drilled for them. The bangles will have to be completed back in the jewelry studio, and can be mailed home to visitors. For people buying the bangles as gifts, a cute postcard can be sent to your recipient to let them know their special creation is on its way! 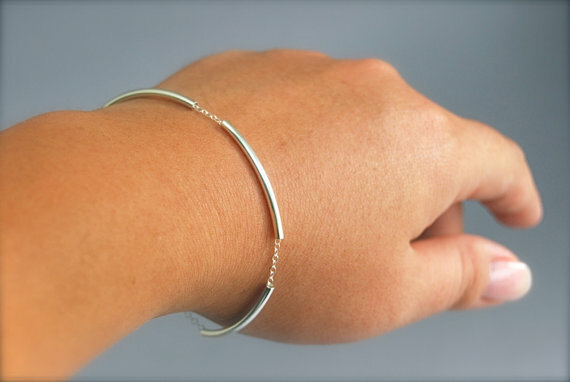 The Bangle Bar joins the original Jewelry Bar, where customers can pick necklace style, length, and their own selection of charms for a one-of-a-kind creation. There is also a Kid’s Jewelry corner, where kids can make their own necklace or bracelet with tons of fun, colorful options. This would be a great rainy day activity, or small birthday party activity! The Sophie Grace Maui Flagship Store is located in Paia at 36 Baldwin Avenue (just up the stairs a bit!) Its open Monday through Saturday, 10ish – 6ish. They also have a poolside shop at the Grand Wailea, from 8:30am to 4pm, closed Mondays and Fridays. In addition, they have a website that is just as beautiful as all of their designs and their shop, and – yes – features an online store!